Rapid casualty evacuation from active shooter and TEMS response environments to casualty collection and triage areas continues to be a challenge in many incidents. Often, there's a lack of available litters at the scene to effectively and rapidly move patients. The Rescue Essentials QuikLitter™ line of lightweight, compact litters is the solution to this problem. The original QuikLitter™ and the QuikLitter XL™ have been extremely popular with both law enforcement and EMS as a low cost, highly effective tool for moving casualties or as a patient transfer device. Rescue Essentials has now developed the QuikLitter Lite™. This low-cost emergency litter is an even lighter, more compact, version of our popular QuikLitter™. It features ten large hand-holds, four on each side and one each at the head and foot, allowing for easy patient handling. With a load capacity tested to 750 lbs, it can be employed for everyday use as a soft stretcher as well as MCI emergency patient transport. 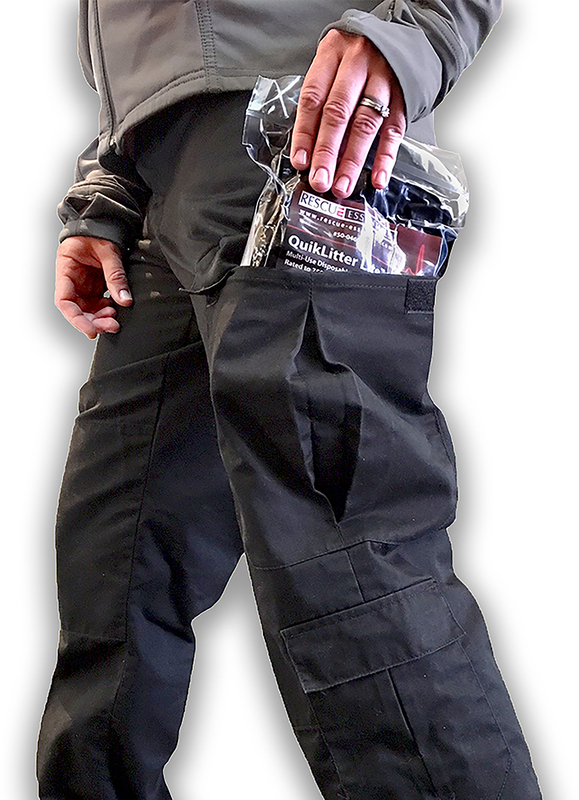 Even more important, the QuikLitter Lite™ comes vacuum packed small enough to fit into the cargo pocket of most tactical and EMS pants. A rescue litter you can fit into your cargo pocket! For carrying on your tactical or rescue task force vest use our QuikLitter Lite™ Utility Pouch. The QuikLitter Lite™ is constructed of heavy duty nylon webbing, and backed with a lightweight water-resistant nylon material and is latex-free. 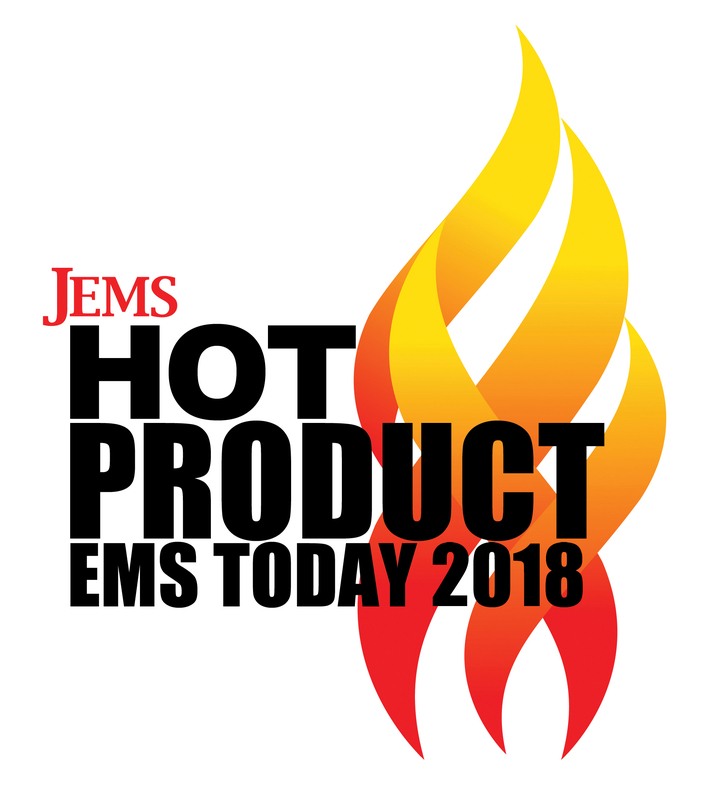 This is the ideal RESCUE TASK FORCE Casualty Collection Device and at only $25 it can be affordably stocked in every Bleeding Control Kit as well as added to every emergency vehicle including law enforcement fleets. I work as a SWAT paramedic, this litter is perfect. It's small and is easily stored. Comes vacuum sealed and is about 7" tall, 6" wide, 1.5" thick. We use it as a single use and has carried officers in full kit. I selected this one because it said it would fit in your pocket...my pockets aren't that big. Lightweight and fits in my jump bag. It is in a vacuum sealed bag so I haven't opened it because I don't think I can get it back to that small.